PARENTS’ EVENINGS. These will take place week commencing 29th April 2019 so please make a note in your diaries/calendars. Letters will be sent out on Tuesday 23rd April. Please return slips a.s.a.p. to book your slot. Bringing You Live Pictures From The Cantrell Year 4 Spring Camp. Cantrell Attendance Surprise! All the children with 100% attendance from September 2018 were invited to a visit from White Post Farm. Fantasic smiles and reaction from the children.The children were able to see, touch and hold mice, guinea pigs, rabbits, chicks, reptiles, creepy crawlies and more! Here are a few moments to share with you. Valuing 100% attendance. ATTENDANCE. Maintaining an excellent 96.2%. More than 210 pupils remained In It To Win It and received an Easter prize. We have more than 80 children who have been at school every day since September.Thinking of booking a summer holiday? Can we remind parents that there is no longer any entitlement for family holidays during term-time. If you are taking your child out of school, a Leave of Absence form, available from main reception, must be completed. If children are taken out of school without authorisation a penalty notice may be issued and a fine imposed by the Local Authority, not school. Only a maximum of 5 days can be authorised by the school in exceptional circumstances; family holidays, cheap holidays, birthday celebrations, family events will not be authorised. Free Child Care for 2 Year Olds. Cantrell's Rising Stars! Rising Stars 2 year old provision. 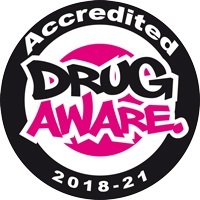 This has proved very successful and we are now full until September 2019. However, if you are considering a place we encourage you contact us with your child's details, to put their name on our waiting list. To check your eligibility please visit the Families Information Service website at www.nottinghamcity.gov.uk/fis or telephone 0800 458 4114. 30 HOURS FUNDING FOR NURSERY. Please note that in order for new children to be eligible for 30 hours in the summer term, parents are encouraged to apply to HMRC by the end of February to re-check eligibility, in case there is any further information needed. This will then be in plenty of time for the ultimate deadline of 31st March. UPDATE TELEPHONE NUMBERS. We use Schoolcomms a text messaging service for urgent updates. If you have changed your mobile number recently, please update your details at the school office. BREAKFAST CLUB. This continues to be FULLY BOOKED each week. It is imperative to book your child’s place IN ADVANCE with a booking form at least the week before a place is required. We have limited space and staffing so cannot accommodate children who have not booked and just turn up on the day. If you no longer require a booked place, please let us know as there is a waiting list. Parents please also ensure you ACCOMPANY YOUR CHILD into the building in the morning, to ensure their safety. Thank you. NATIONAL SCHOOL BREAKFAST SCHEME. We are going to be giving away a bagel for all our children that would like one for breakfast starting on Tuesday 23rd April at 8:30am outside main reception. If you want to come and try one, please come and see us at our table. SWIMMING STARTS ON TUESDAY MORNINGS FROM 23rd APRIL. This is for selected children in years 5 and 6. Parents of these children will receive a text reminder for children to bring their swimming kit. The Times Tables Rock Stars app is now available to download. Your children can practise their times tables on their phones and tablets! Click here to download the app. A battle of the classes is a fun way for your children to learn their times tables! FOREST SCHOOL FOR CHILDREN IN YEAR 1. This will start on Thursday 25th April for children in classes 9 and 10. YEAR 6 AT THE PLAYHOUSE on WEDNESDAY 27th MARCH, watching a performance of Skellig! Also Questions and answers with the author. YEAR 2 OWL ADVENTURE IN SCHOOL WEDNESDAY 15th MAY. As part of our literacy topic (The Owl Who Was Afraid of the Dark by Jill Tomlinson) and science (Woodland Animals) topic next term, we will be having an owl adventure in school. 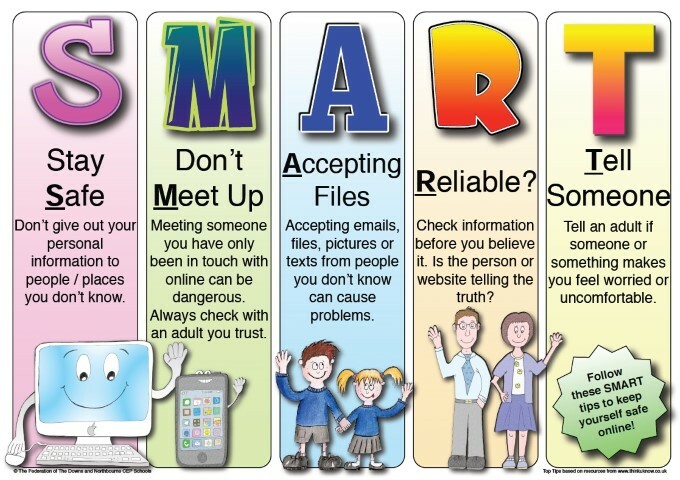 Talk to your child regularly about what they are doing online and how to stay safe. Let them know they can come to you or another trusted adult if they are feeling worried or upset by anything they have seen. You can use NSPCC’s conversation starters to support you when starting these conversations. Agree your own rules as a family when using sites, apps and games. You can use the NSPCC Family Agreement template to help you get started. GET FITTER IN 2019 – TRAINERS/PLIMSOLES IN SCHOOL. This year, one of our school aims is to improve fitness. Physical activity in children is important for a wide variety of reasons. It helps to reduce overweight and obesity, increases strength in muscles and bones and can even improve concentration at school. Exercise is a vital component of any child's development — laying the foundations for a healthy life. We are therefore introducing the Mini Mo Marathon. The children will be running (or walking) around a marked out circuit 3 times weekly. This will happen on different days and at different times as we are a large school and want everyone to be involved. Please could you ensure that children have trainers/plimsoles in school every day so they can change into different footwear to do the exercise. Our cake making competition and sale. We want you, your family and friends to share your reading experiences with us. Very simply post your pictures and comments on the Cantrell twitter and facebook pages. We look forward to all your posts. "Reading with your children leads to questions about the book and the content within. It gives you a chance to speak about what is happening and to use as a learning experience. There is nothing better than seeing our children learn." Also, check out #extremereading and add this hash tag to all your posts. Your input will make the difference! WORLD BOOK DAY. We saw some fantastic costumes and beautifully creative cakes. Thank you for your support and donations, you raised £567.70. The funds raised will be spent buying new books for our young learners to enjoy in their new reading corners. Cantrell Football Focus 21st March. A terrific win today for our Under 11s footballers, beating Our Lady 6-0!! A perfect defensive performance at the back, great energy and drive in midfield and flair and speed in attack! A tremendous all-round team performance!! RED NOSE DAY. We raised the fantastic amount of £576.91 for this worthwhile charity. Many thanks to children and families for your support. "Year 6 using noun phrases and a range of clause structures to describe settings inspired by their reading of Street Child"
"Year 5 Reading Detectives applying their skills to working out perimeter of shapes." Check Out Your Child's Learning Zone! We have been working hard to update your child's Learning Zone! From the main website menu click on Learning Zones and then follow the new menu to your child's school stage. You will find a whole range of links to websites that will support your child's learning. These have all been chosen by staff to support teaching and learning relevant to the school curriculum. Here is an example of Year 5. We hope you enjoy your Learning Experience. READING HELP. Mums, Dads, Brothers, Sisters, Aunts, Uncles, Grandmas and Grandads - can you spare an hour in your day to come and read with children in school? We want to improve every child’s reading skills and really need people to read with our children on a regular basis, particularly in year 1 and year 2. If you can spare any time, please see your child’s teacher. We would truly appreciate your support.